Visit Rotherham South Yorkshire and the surrounding villages and stay in B&B, hotel or self catering cottage accommodation provided by BedPosts members. Rotherham in South Yorkshire, population 260,000, is 6 miles from City of Sheffield. Rotherham was founded in the early Middle Ages. Rotherham has a major steel making plant. Attractions: 15th century Rotherham Minster with parts from earlier Saxon and Norman buildings; 15th century Chapel of Our Lady of Rotherham Bridge; Clifton Park Museum; Boston Castle; the Catcliffe Glass Cone; the ruins of the medieval Cistercian Roche Abbey at Maltby; the Magna Science Adventure Centre. 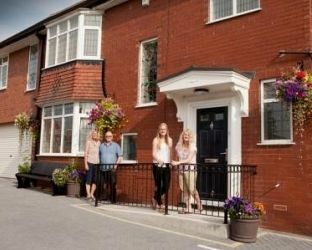 If you seek accommodation near Rotherham in South Yorkshire you have come to the website of a “club” of providers who offer affordable quality accommodation around UK in hotels, bed and breakfasts, guesthouses, inns, and restaurants plus self-catering cottages and apartments .